Labels and 'othering' have become the norm, this is not the first time I have been asked if I was borrn here, and as I said in the clip, what did that have to do with anything? As to my being the racist, I was the only one who was asked this question. Soon we'll be at the point where the disaster that is brexit runs out of can kicking and we finally face a choice. Or postponing and ultimately defeating the whole stupid concept. Let's look at how we got here. The Brexiters biggest problem has been a lack of understanding between them of what brexit is. 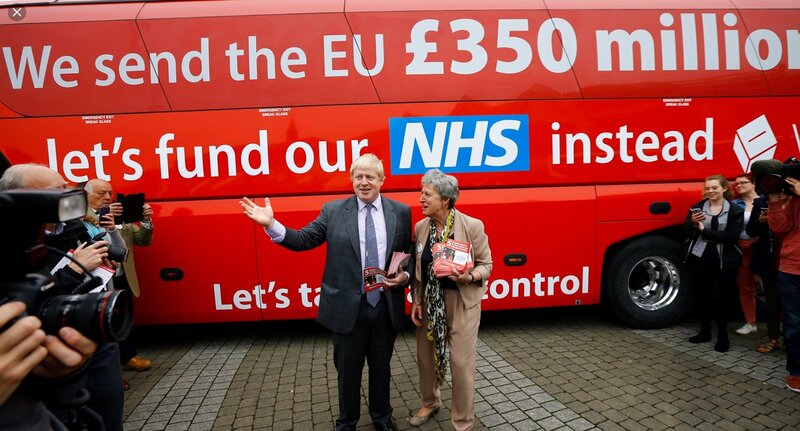 Hence the silly use of "the brexit people voted for" as a phrase to cover up "we've no bloody idea what people voted for"
In any half decent democracy brexit would never have been unleashed without a plan being created. But not only do we STILL not have that, Brexiters havent grasped even the basic details like how to import food. Just wrote to Mrs May @10DowningStreet cc @lucyfrazermp with nod to @LaylaMoran (as promised!) @mrjamesob @JMPSimor @joannaccherry @WomaninHavana @IanDunt @Bakehouse2016 @spaceangel1964 @ProfBrianCox @ThatTimWalker @thatginamiller @acgrayling @JolyonMaugham -text to follow here. 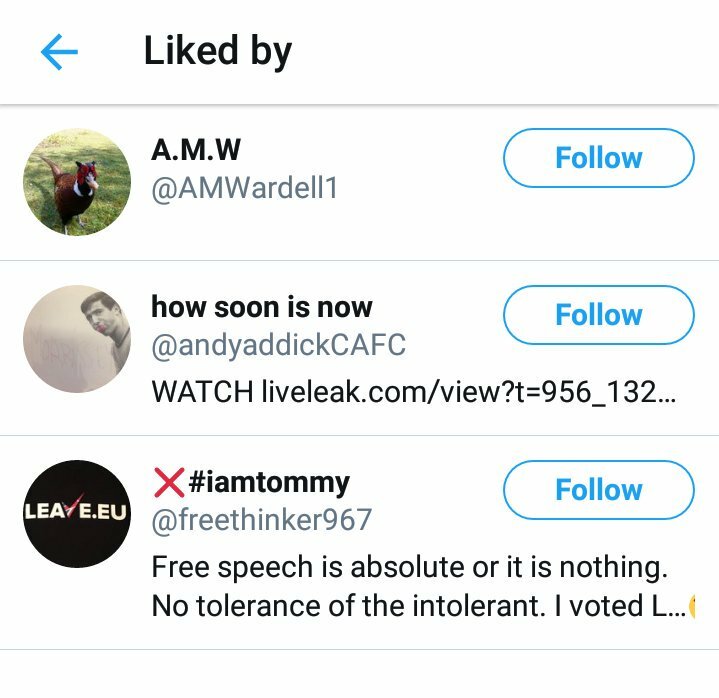 Just been called a fanatic by a #Corbynista #Lexiter for daring to suggest Labour need to back a #PeoplesVote for a #FinalSay with a #Remain option to thwart the Far Right #Brexit...2 out of the 3 likes he got were from the Far Right. 1. 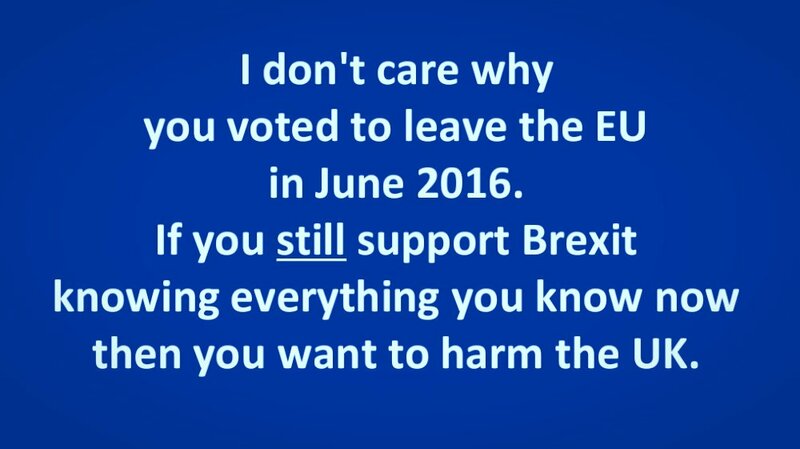 Ok bit of a revelation last night after rereading the posts against #FBPE . Why do parts of the left and right hate us so much. I think it's become really clear to me is the attacks don't make sense. 2. 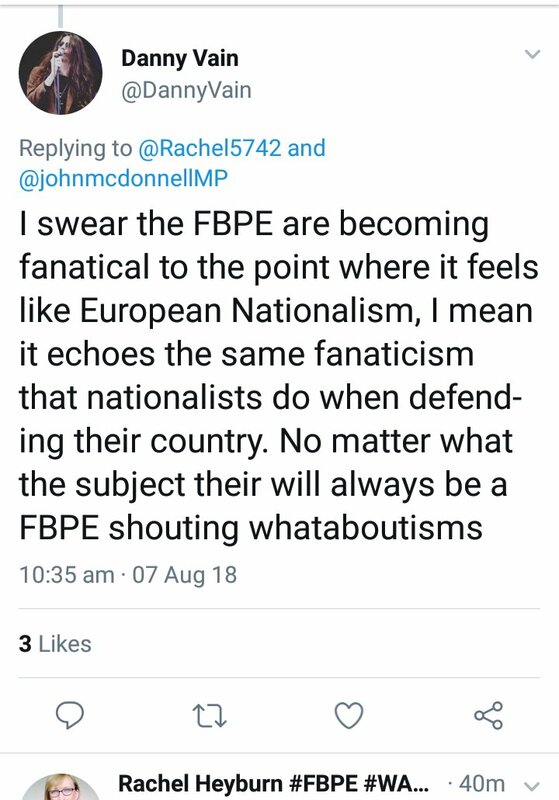 #FBPE Both sides should actually be trying to win over the centre. Instead we are criticised for concerns about both the pillars of the political system, the system itself where proven electoral fraud is ignored by both. 3.And both sides blame immigrants. Why did the two edges of our political universe target immigrants and #FBPE what possible connection do the targets have? Is it a love of foccacia or is it something much darker that the left and the right agree on. 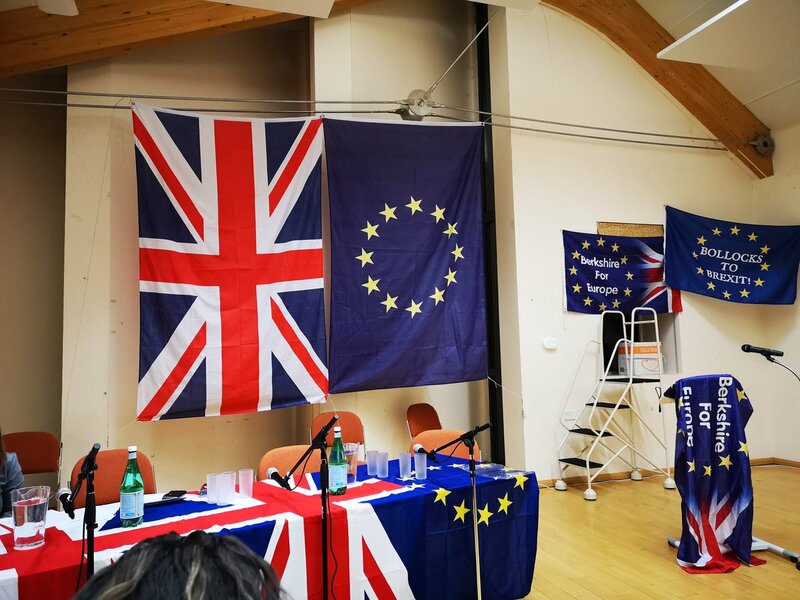 EU citizens here & Brit citizens in Europe will become illegal citizens unless they have already been granted settled status that they have to pay for. Think of the backlog at the Home Office and the high number of errors made there. All EU here and Brits there lose some rights. @BasedChara @MerryMichaelW @blueunicornmoon @MagpiesView You do know that the referendum was not intended as a binding instruction, yes? That the referendum was enabled by an act that explicitly laid out its advisory nature? @BasedChara @MerryMichaelW @blueunicornmoon @MagpiesView Do you know what's damaged our vote? The ref may have been advisory but it was a legitimate democratic exercise, governed by electoral law. 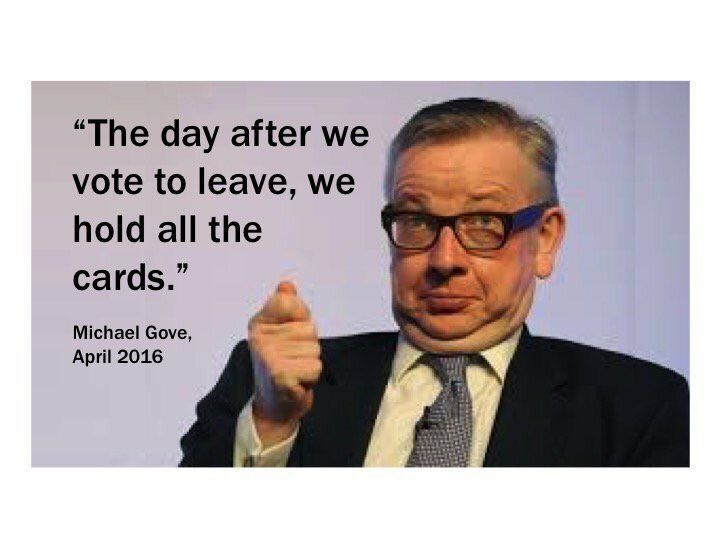 The leave campaign broke all kinds of electoral laws. If a GE was won after a corrupt campaign, for how long would the new govt last? 2. In 2011 the Parliamentary Voting System and Constituencies Act was legislated during the 1st Cameroon govt. 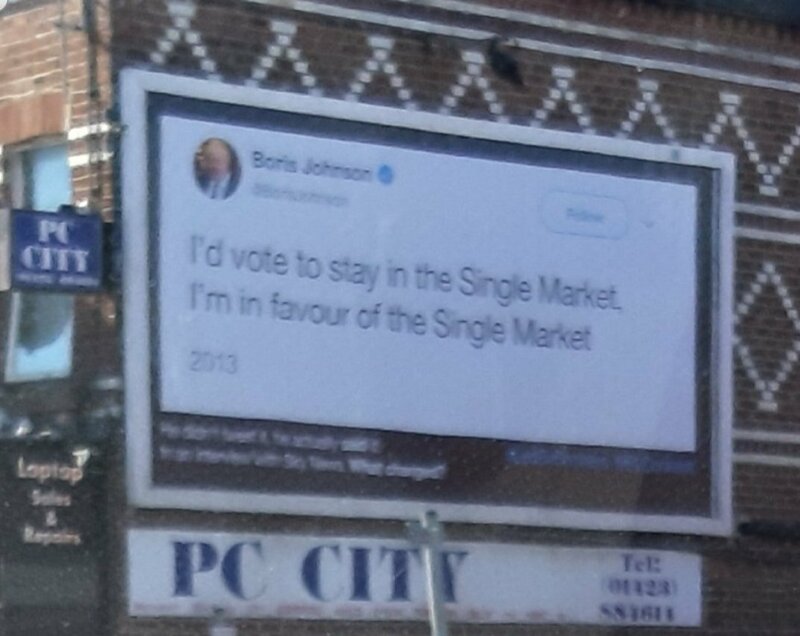 It was unique as it was a 'madatory' referendum. The same administration legislated for the Referendum Act 2015 as an 'advisory' ref; 2011 bound parliament 2015 didn't. 3. The 1975 ref process was different. It was, what's termed as, a post-legislative ref. In other words, Parliament voted for EC membership, then legislated for the Referendum Act 1975. The assent of the people (67% to 33%) then made that result binding; theoretically. I've just submitted a complaint to the Independent Press Standards Organisation against a certain few 'newspapers' for 25 years of lies and misinformation regarding the European Union. I've had a response from IPSO, their response email is below. 1. When will those craven MPs, who fail to put natl interest 1st, wake up to the harsh reality; the #Brexit vote & process was subverted & flawed, the Will of the People unclear & misrepresented & that our country can only end up Poorer, Weaker with Fewer Rights & less Control. 2. There's no way any politician can justify proceeding with this #BrexitShambles w/o at least Retesting the current Will of the Ppl. 3. Jeremy Corbyn & the Labour leadership are being equally disingenuous & like the Tories putting the ideology of the Far Left before the interests of their own ppl. They can't be in power forever & future Tory Govts can do what they want outside the EU. A say in whether the EU enlarges or not. A say in if the EU federalises or remains a union of independent states. A say in if there is an EU army. Being the financial capital through which the majority of € is traded while still keeping the £. After #Brexit, the UK will have no influence on EU enlargement. In fact, as setting the EU as a rival, every country that joins the EU will a) strengthen the EU, and b) unravels any trade deals that the UK will have made with that country, isolating it further. 2. This price to buy a Transition that merely allows our politicians to kick the real impact down the road so they can con ppl into thinking things will be fine after #Brexit. 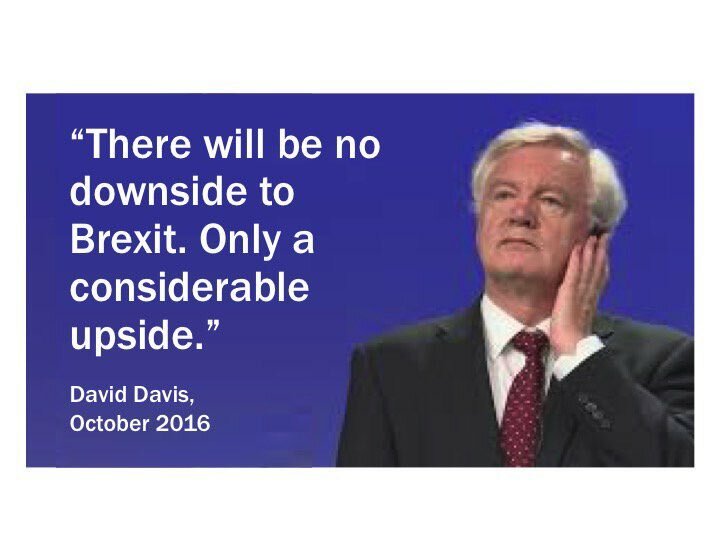 If we don't #StopBrexitSaveBritain we'll be out on 29/03/19 & it will be too late to avoid the cliff. 3. 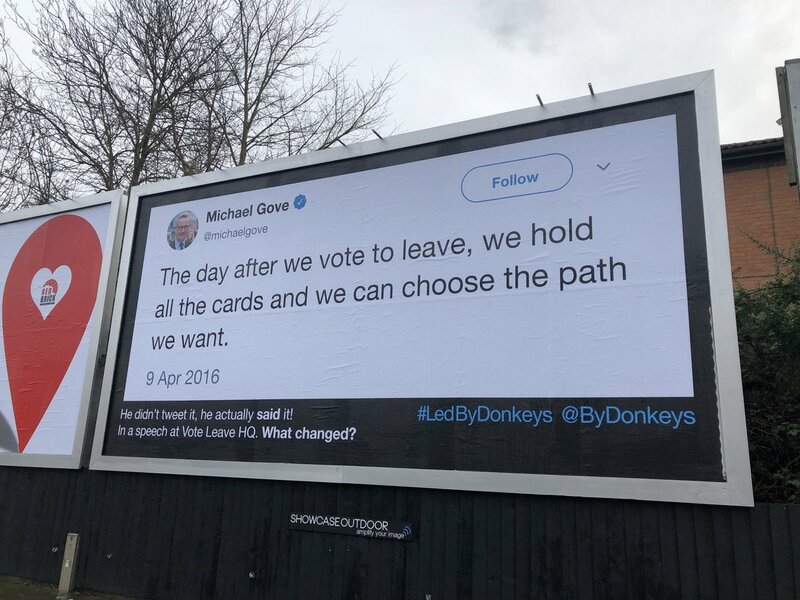 This is all about leaving the EU 29/03/19..once out we've lost our BEST POSSIBLE DEAL, it will be Pay & Obey No Say on many issues ad infinitum; we'll never get back in. At that point we lose Rights...we're already losing jobs to the EU as companies relocate at least in part.